Your wedding is bound to be beautiful, but it will be even more special with your friends there beside you on your big day. 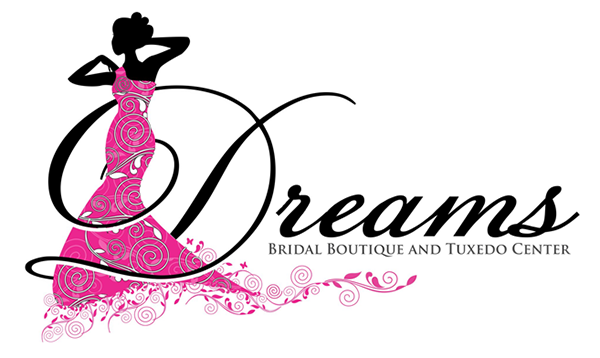 Dreams Bridal Boutique and Tuxedo Center sells fashionable bridesmaid dresses so your wedding party can send you off in style. Our large inventory features dresses in all sizes and styles. Everyone can find something that fits them. If you can't find the right size, we'll order it for you. As a bonus, brides who order their wedding dress here get a 20% discount on bridesmaid dresses. Call 207-480-1446 today to schedule fittings for bridesmaid dresses in Augusta, ME. As you walk down the aisle, all eyes will be on you. That doesn't mean your friends shouldn't look amazing, as well. With bridal party dresses from our boutique, your bridesmaids will look spectacular. Visit the store soon to choose your bridal party dresses in Augusta, ME.